Doha, Qatar, June 2, 2018: Keeping up with its vision to act as the catalyst in fueling SMEs’ growth, Qatar Development Bank (QDB), through its export development agency ‘Tasdeer’, participated in the 21st International Exhibition of Building, Building Materials And Public Works “BATIMATEC”, which took place in Algeria from April 22-26, 2018. BATIMATEC is considered the largest event in the continental region. This is a true platform for the exchange of experience, technology and knowledge in the building and related sectors. 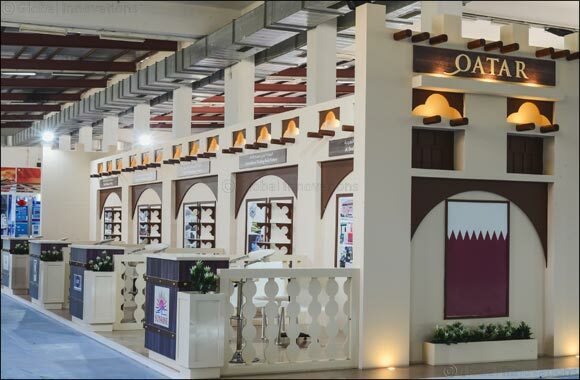 During this trade event, Qatar pavilion was organized by QDB to support Qatari SMEs and help them to promote their products in the International Markets. Companies that exhibited their products under Qatar pavilion included Qatar German Pipes Company; International Welding Rods Factory; ELAN Signage; Doha WaterProof Factory; Alhababi Wooden Furniture & Aluminium Factory; Qatar Steel Industries Factory; ASTAD; National Paints Factories; Artisant; Al Ikhtyaar German Upvc Windows & Doors Co; Qatari Canadian for Energy and Electrical Industries; Al Hodaifi Cable Compounding Company; Al Bedaya Steel Industries; Al Muftah Fiber glass Products; Qatar Integrated Plastic Bags Factory; and Modern Recycling Factory. The BATIMATEC show has become a most sought-after show over the years through successive editions, characterized by constant regularity. It is the largest professional gathering of the construction sector on a continental scale where all branches of the building, building materials and public works are represented. Its 2017 edition witnessed a record participation of 1224 exhibitors including 624 national companies and 600 foreign companies from 24 countries on a total exhibition area 44,000 m². The current edition was surely bigger & better than the previous ones and SMEs benefitted a lot by participating at this show.